Joseph Calot is a fascinating figure in the history of violin-making. 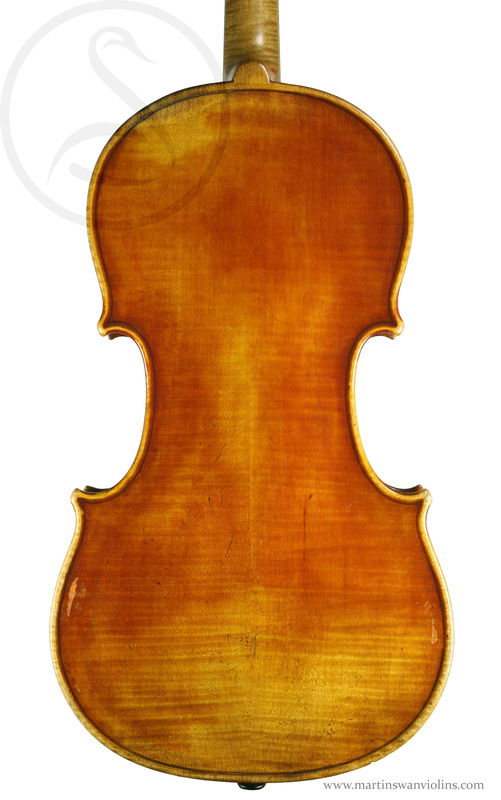 He is best known as a Turin maker for his association/collaboration with Pressenda, but he was also an apprentice in the workshop of Nicholas Lupot, and our violin is a bold variation on Lupot’s Paris style. This is a perfectly preserved example of Calot’s Parisian work, showing exceptional ability. 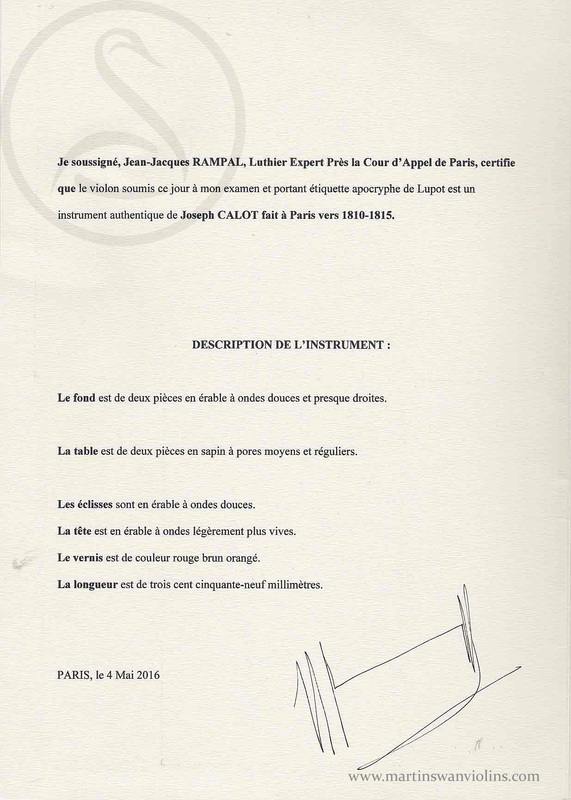 Calot is a very rare maker, and most of what we see bearing his brand is post-Pressenda – these are often trade instruments which have little to do with Calot himself. 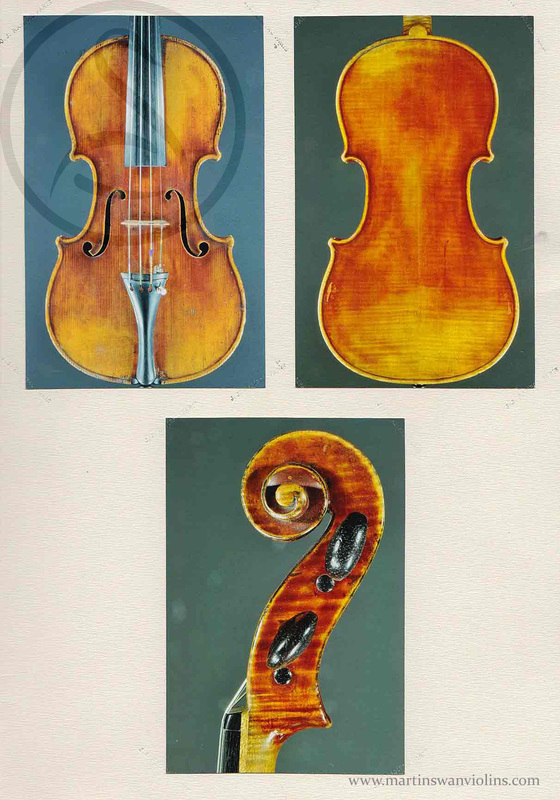 In this early violin, made under the tutelage of Nicholas Lupot, we see superb craftsmanship and a very daring varnish – fascinating to think that Calot then refined this varnish in Turin to produce what we think of as “Pressenda varnish“. 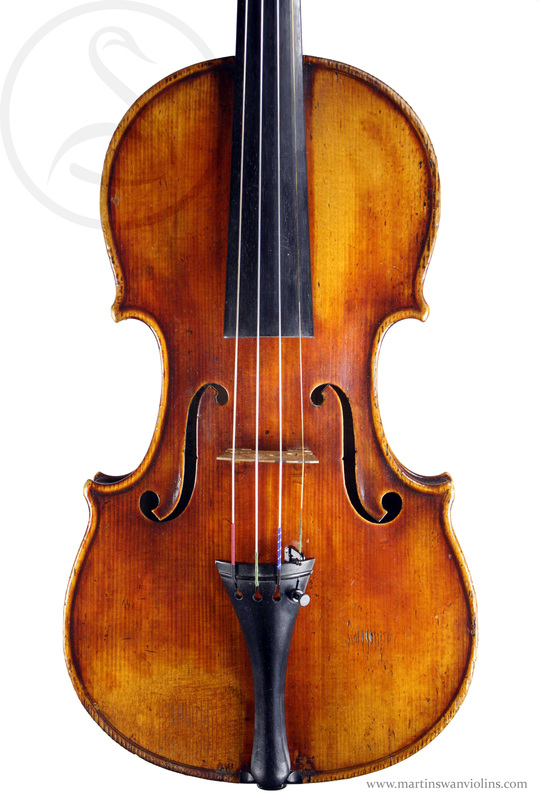 The condition of this instrument is spectacular – there are no cracks or damages, and the original vanish is beautifully preserved. The neck is also original – a very early example of a mortised neck. 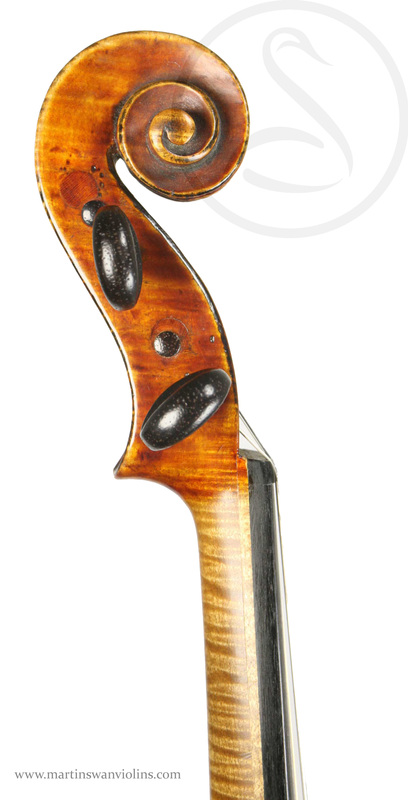 The elevation has been corrected with a fillet under the fingerboard. 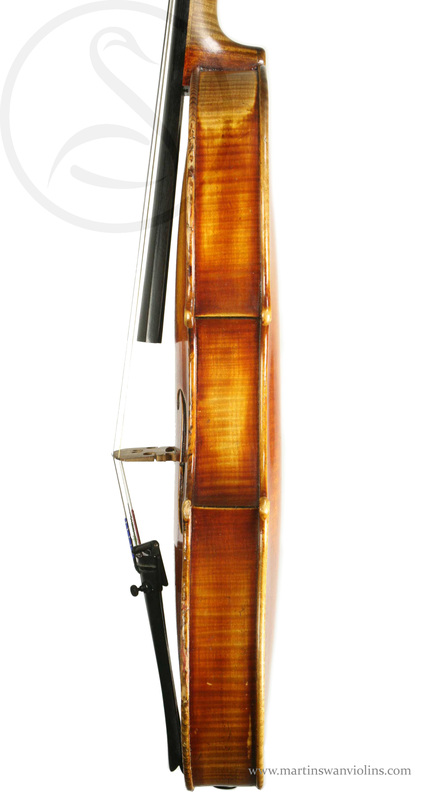 This is a spectacular sounding violin which does everything beautfully, from a growl to a whisper. 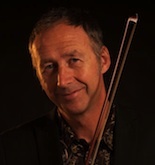 For some time now I have rated Nicholas Lupot as one of the greatest makers of all time – he is the only maker I can think of who might actually be said to have improved on Stradivari! This violin, made under his tutelage, shares many of the same traits – very flat arching, a broad model, and great spruce with a loose grain spacing. The sound is very big and fruity while retaining bite and articulacy – it has the power to cut through any ensemble, but it also has a lot of colour and a distinctive voice. This is a high level concert instrument, essentially a Lupot at a fraction of the price … it’s also a rare and collectable example from a pioneering maker. Are you interested in this Joseph Calot Violin? Look at more rare French violins like this.